Orlan Sands is threatened by an evil spider-themed karate cult seeking the location of an archaeological dig unearthing a rare magical artifact, so he turns to his best friend Jack, a martial arts champion, for protection. But when Jack is killed, he has no choice but to seek out a voodoo witch doctor who brings Jack back to life as Ninja Zombie. 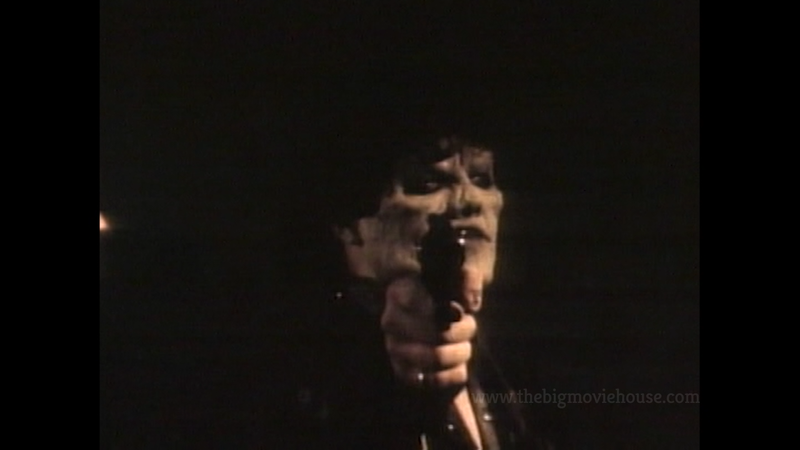 Now, the undead warrior foil the plans of the cult and its leader, who will stop at nothing to succeed, even if it means kidnapping Jack's fiancee. 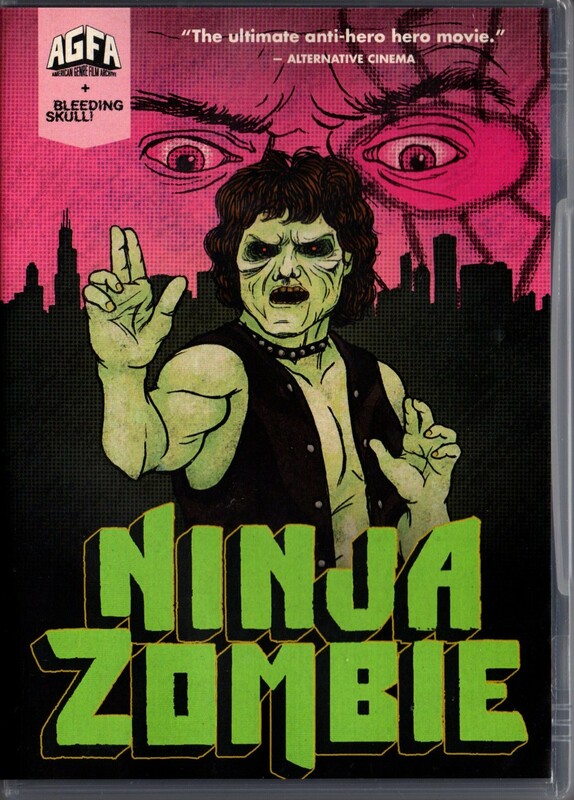 Ninja Zombie is another unique find from the good folks at both the American Genre Film Archive and Bleeding Skull. The previously gave us the 1987 film The Soultangler on DVD and now they have given us Ninja Zombie. 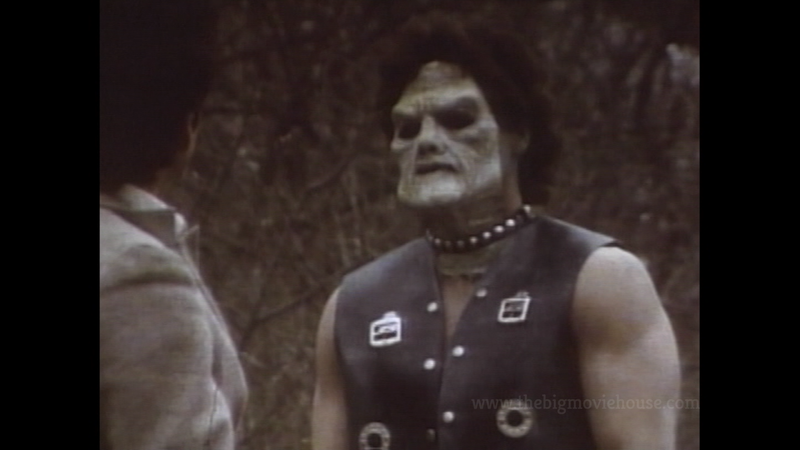 The film is not quite as good as The Soultangler, but it does live up to its title. 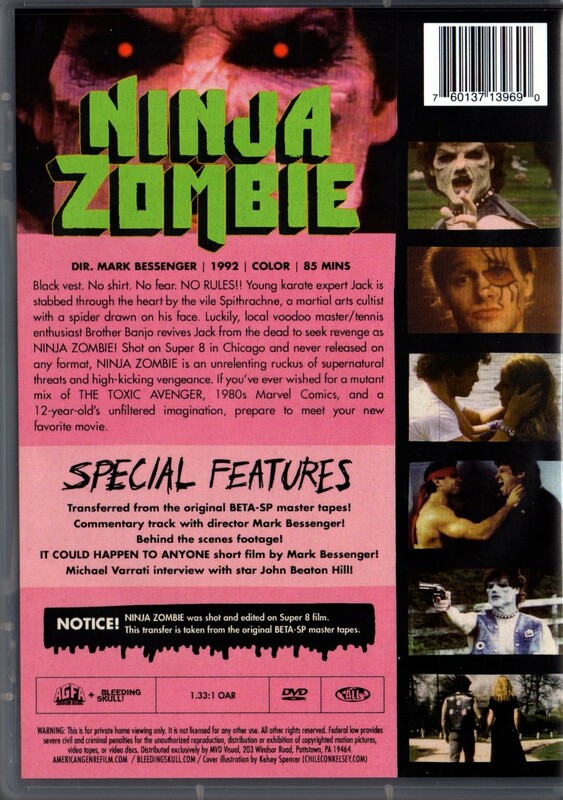 There is a ninja zombie in the film and he actually appears for more than five seconds, unlike some other films that make big promises in the title but barely deliver. (I’m looking at you, There Be Dragons). The thing that struck me right off the bat was that the film is a horror comedy. 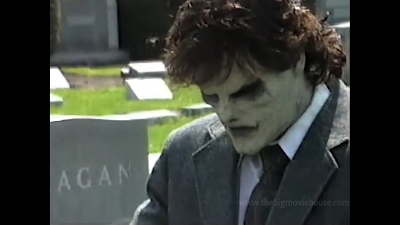 Usually, the filmmakers try to make a horror film, but it ends being a comedy. 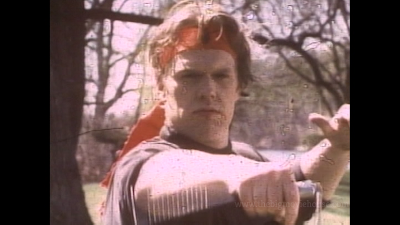 The filmmakers here have circumvented the audiences ability to laugh at crap by saying that they were in on the joke the entire time. It’s smart business. The thing is: the filmmakers actually made a film that had me laughing quite a few times and not because the film fell into the “its so bad it’s good”, but because they made a film that has genuine laughs. 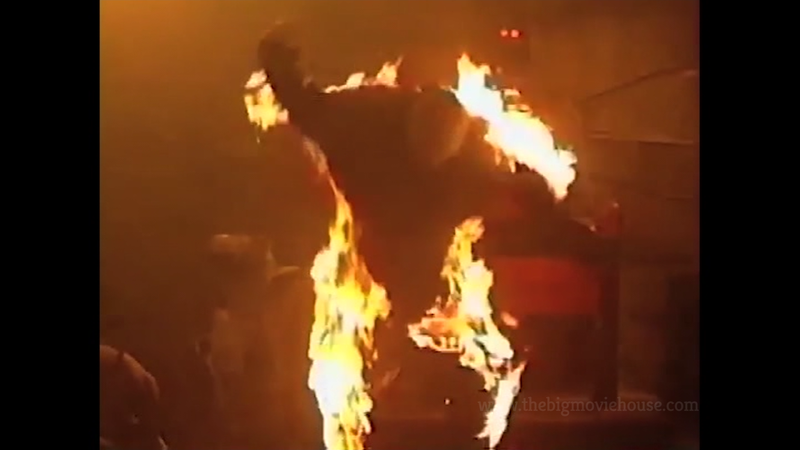 The fight scenes are pretty decent while the effects leave something to be desired, but the thing is: these guys made a very competent, low budget picture, on 8mm, and it probably would have been successful if it had been released right after it was made. 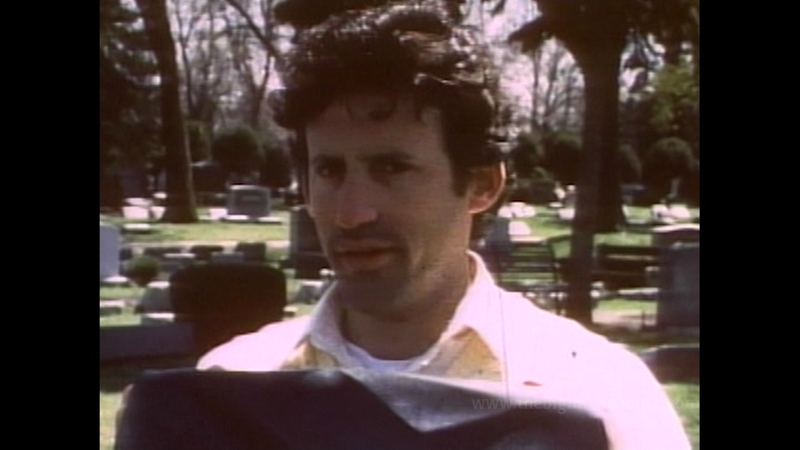 The fact that we have the film on DVD now is a minor miracle. So, if you are looking for something a bit different, that has been seen by very few people, then give Ninja Zombie a shot. 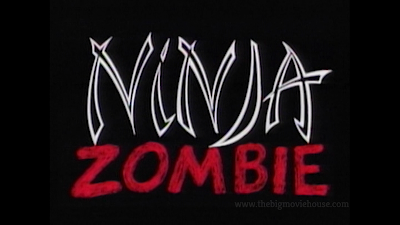 “Ninja Zombie was shot and edited on 8mm film. 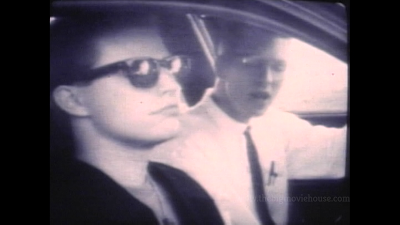 The transfer is taken from the original BETA-SP master tapes”. This is from AGFA’s own press materials. Knowing this, we can judge the transfer a bit differently. I have reviewed blu-rays and DVDs before where either the film had been lost and the only left is the BETA tapes (see: Killer Workout) or the film was shot on video in the first place (see: Boardinghouse) and I have looked at the transfers for these films in a different light than I do for something that was has all of its original materials (VHS notwithstanding). There is not really much that can be done with VHS or BETA tapes to make them look better. You can’t really fix them like you can film. That being said, Ninja Zombie looks ok. 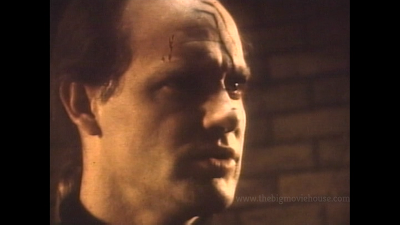 The film used for the tapes is scratched up with many sour points. This is the film that was used for the tape and IT looks pretty bad. 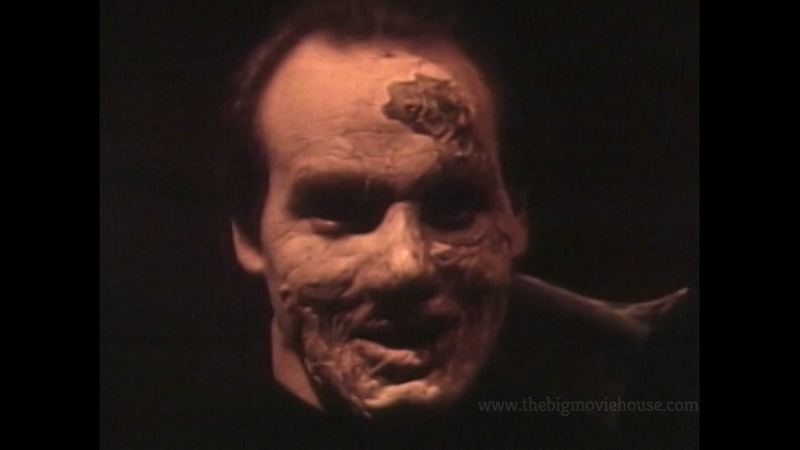 Once you take the rough looking film and transfer it to BETA tape, it gets even worse. I won’t go into too many specifics, but I will say that there is a ton of crushed blacks and nothing really looks the way that it probably should look. Still, the film is completely watchable and the fact that it doesn’t look very good shouldn’t impede your enjoyment of the film. We know why it looks like this and we can accept that. The sound, as well, doesn’t bode too well here. Dialogue is pretty clear, for the most part, and the effects are present. Still, it isn’t all that great, but remember what we are dealing with here and everything is ok. The front cover features some nice artwork from Kelsey Spencer. The reverse artwork, which is what the filmmakers came up with, is a decent cut-and-paste job. 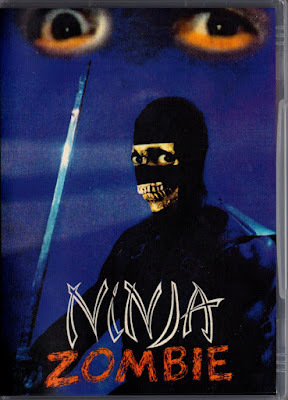 The skull in the ninja mask was clearly taken from the poster for Evil Dead 2, and I know that I have seen the ninja stance from another movie poster, but I just can’t think of it right now. 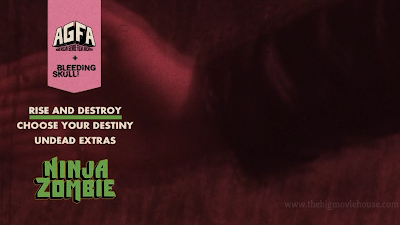 The disc is all black save for the title of the film and the AGFA and Bleeding Skull logo at the top. The disc is an ALL REGION disc. Behind the Scenes Footage (26m 55s, SD, 1.33:1) This is VHS footage that was shot during the making of the film and there is a lot to take in, even if it doesn’t feel like it at first. 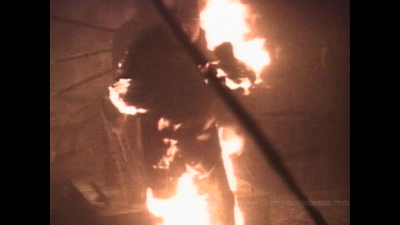 We see some of the cemetery scenes being shot, we see that the fire stunt that happens towards the end of the film almost resulted in the stuntman being burned very badly, and we see that the opening credits were almost shot with the camera on an RC car. 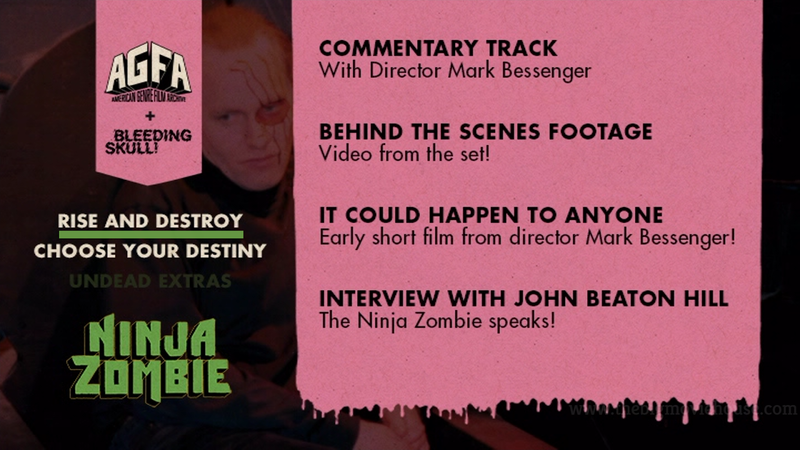 I love when companies include features like this as we only really ever hear about the making of a low budget film. 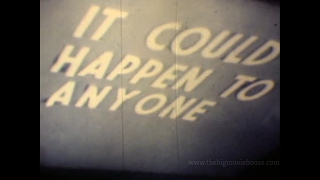 It is nice to be able to see HOW the film was made and how the set and everything else was like. 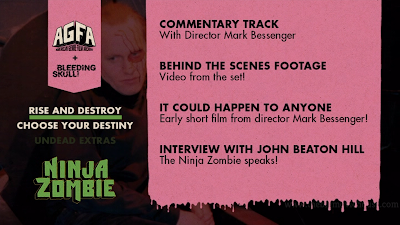 Interview with John Beaton Hill (11m 56s, SD, 1.33:1) Here we have a pretty decent interview with the Ninja Zombie himself. He talks about the making of the film and how he would love to do a sequel. 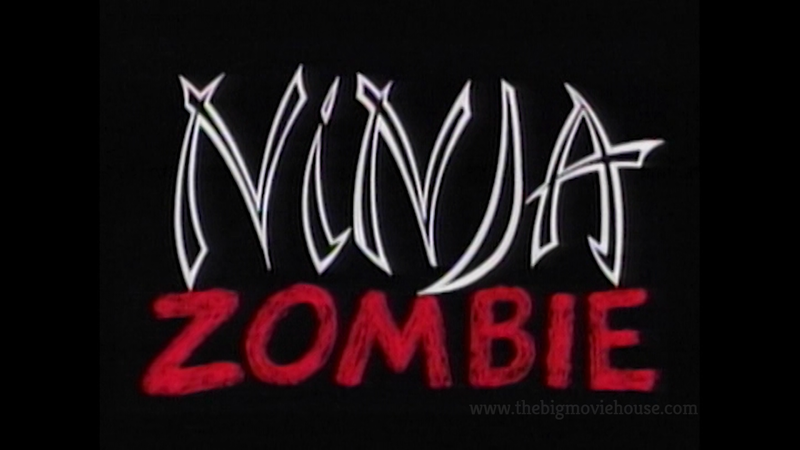 Ninja Zombie is a fun little flick that should have gotten its due years ago, had it been released. 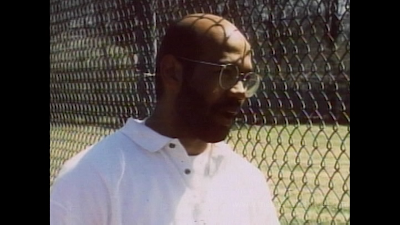 Hopefully, people will find this DVD and give the film a chance. 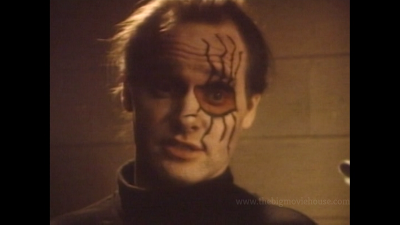 The DVD is a lot of fun with some pretty cool special features. Just curb your expectations when it comes to A/V presentation and you will have a lot of fun.